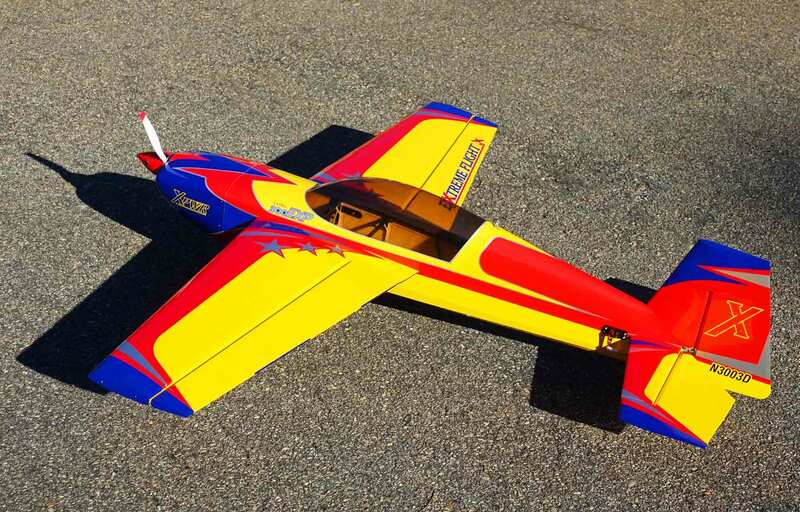 The new Extreme Flight V2 Extra 300EXP is here! Incorporating all of the latest design updates from our most recent releases, this perennial favorite returns loaded with composites, 2 new color schemes and is stronger and lighter! 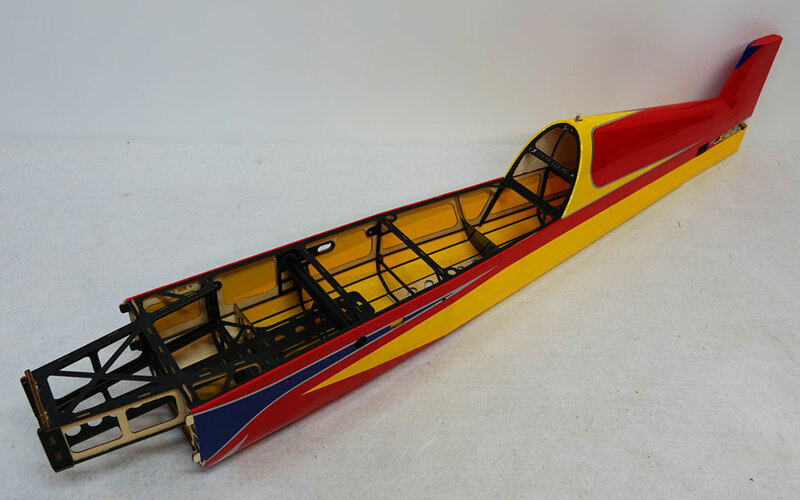 New updates include a self-aligning stab assembly which greatly simplifies the assembly of the Extra, super strong carbon U-channel landing gear mount, composite laminated plywood and balsa fuselage construction and 2 high visibility standard (non-printed) Oracover color schemes. 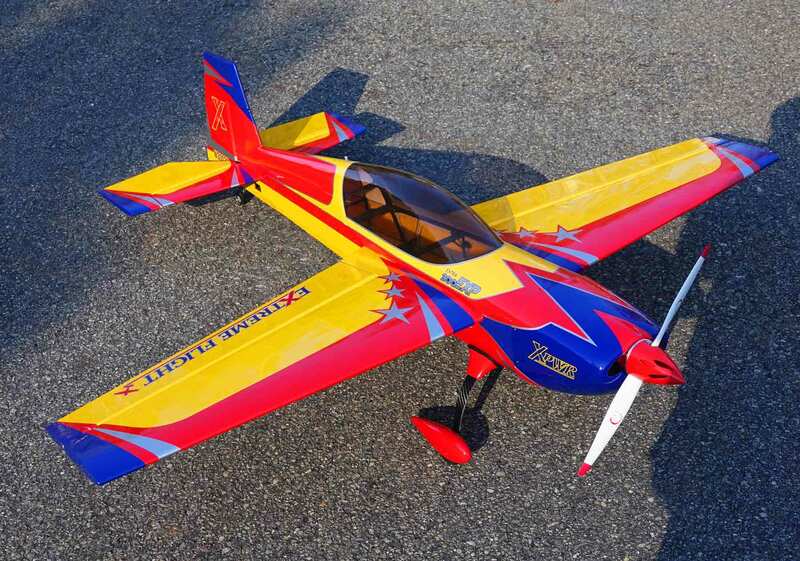 The Extra also includes a 63mm Cyclone spinner (Dark Blue with the Blue/Orange Scheme, Red with the Red/Yellow Scheme) The Extra can easily be assembled and ready to fly in a single evening session by an experienced modeler.